Chances are you have a grocery list and a “to do” list. Perhaps you stick Post-it notes all over a desk or refrigerator, or maintain schedules and reminders on a PC or iPhone. But do you have a “bucket list” – a description of those things you would like to do or accomplish before you die or “kick the bucket”? While most lists are practical, a bucket list can include anything desired, from something as simple as planting a tree, to lofty career goals and exotic travel, getting that pet you’ve always wanted, writing a novel or learning to dance the tango. A bucket list can serve to invigorate, excite, and inspire. 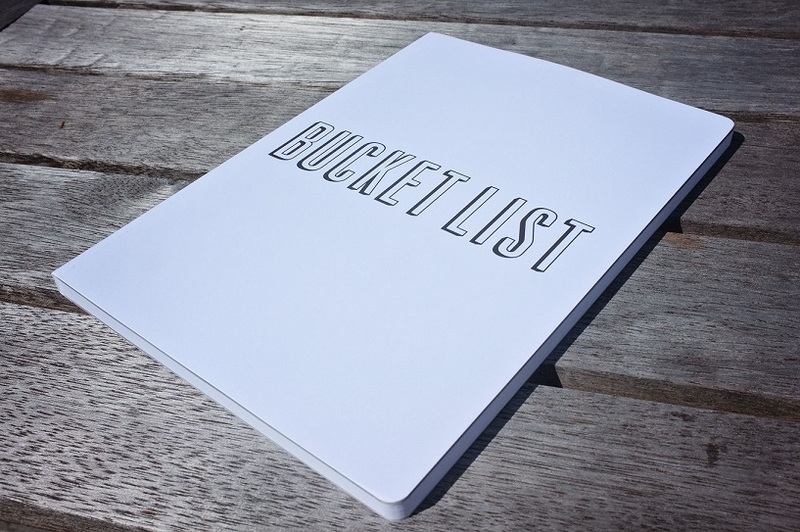 The idea of a bucket list has grown in popularity since the 2007 Rob Reiner film, The Bucket List, in which two men (played by Jack Nicholson and Morgan Freeman) leave a cancer ward to indulge life-long dreams – skydiving, going on safari, getting tattoos, and visiting the Taj Mahal, to name a few. In fact, the average bucket list boasts 50 to 100 items. 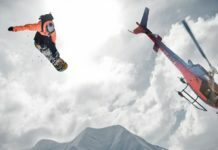 Some have chosen to post their lists online and to interact with others, revealing “getting married,” “swim with dolphins” and “go for a ride in a hot air balloon” as among the most popular desires. Studies show that writing or typing thoughts and ideas greatly improves the probability that such plans and notions will be carried out. So, even if you‘re not ‘listless’ (which doesn’t actually mean ‘without lists’ but instead describes a lack of energy, desire, or interest), taking the time to jot down or bullet-point less pragmatic endeavors can be a way to motivate yourself to do them, spark change, and keep your life adventurous, challenging, and fun. It is inspiring to see a movie where the main character, facing an imminent demise, sets off to accomplish everything on their life list. The reality of the situation is that once a terminal prognosis is delivered, most people wouldn’t have the time, money or energy to get very far. Sadly, when most people sit down to write a bucket list they draw up a blank. This is mainly due to the fact that dreams in our society are not encouraged. People are told to be realistic, or be safe; risk is to be avoided at all costs. It is natural to be scared of the unknown, but it should not be a barrier to experiencing the world. On the bucket list do not be afraid to put down big and somewhat unattainable goals, as long as they are truly desired. Don’t put something down that sounds impressive but has no real personal gratification. A bucket list is for you, the individual; not for others. One of the most common items on a bucket list is travel to exotic destinations. Maybe it is a chance to walk barefoot in the tropics, explore European heritage, haggle in an Arabic souq, or see the Angkor temples; travel has a way of exciting the imagination. What destinations call out to be discovered? What festivals, experiences, or sites have always caught the attention? These are the items that get written on the bucket list. Does swimming with dolphins or whale sharks make the heart beat faster? Would sailing on an Americas Cup boat, or racing NASCAR bring a measure of pride? These are all things that can be combined with a travel holiday. Not sure where to begin, then rent a few travel movies for ideas. If money is an obstacle to travel, then learn to be creative and find ways to travel inexpensively. Inspiration for the bucket list is all around. Biographies of courageous people, explorers, and humanitarians are everywhere. Look to role models who live an exciting life, and ask them about their favourite experience. Get in the habit of talking about dreams and goals with like minded people. Ignore the people that are stuck in a rut and happy with mediocrity, as they will only degrade dreams as being silly. Search out people that inspire greatness. Books and movies are also full of stories that inspire one to take hold of the reigns of life. Of course The Bucket List is one such film, as are Into the Wild and One Week. What areas of life form the biggest source of regret? Maybe it was a lost chance or hurt feelings. If it is important, then find a way to resolve it and put it on the bucket list. It’s also worth examining your life for areas that have created a great deal of regret; make changes to help prevent experiencing regret in the future. It is one thing to write a bucket list, it is entirely another to have a completed bucket list. The items won’t magically cross them self off the list. It takes a commitment to start living a purposeful life in the here and now. Make a commitment to attempting one or two items per year. For the bigger goal find a way to build up to them, or save on a monthly basis to accomplish it. For new skills, enroll in one course per year to always be learning. Living an exciting life doesn’t mean having to throw off all the shackles of society and leap into the great unknown. It can start with just knowing what is desired from this life, then taking a few practical steps to accomplish those life goals.